The manager of a waste management company – which helped transform a Calderdale community football club’s facilities – has been honoured at its annual presentation evening. 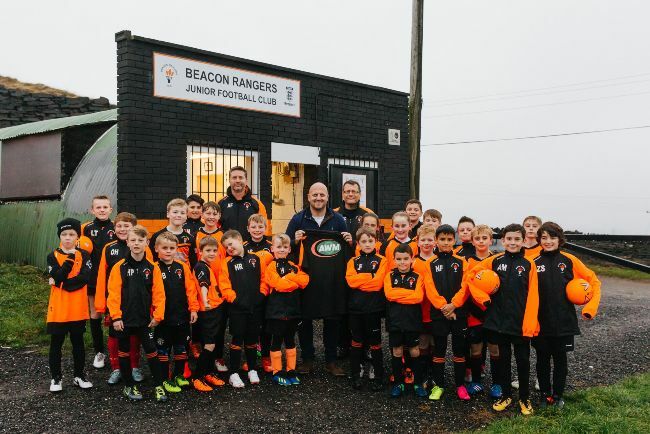 Mike, who was thanked in person by the whole club at the annual presentation evening, said: “When we became aware of the parking issues Beacon Rangers were facing, we were more than happy to help in any way we could. “Working alongside The Leo Group, we were able to install a surface that meant up to 35 cars could park easily and safely around the pitch on match-days. We also helped with the renovation of the club’s changing rooms and storage areas.